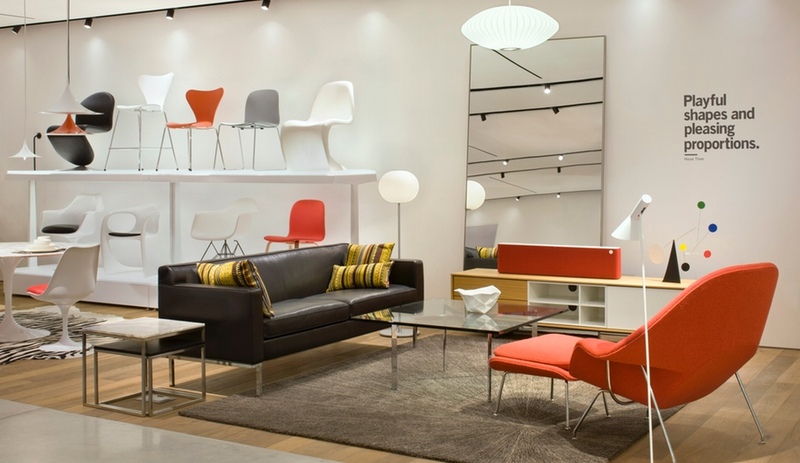 Frank Gehry’s middle-finger salute, Herman Miller’s shopping spree, Shigeru Ban’s big year – these are just a few of the 10 most memorable moments in the year of architecture and design. 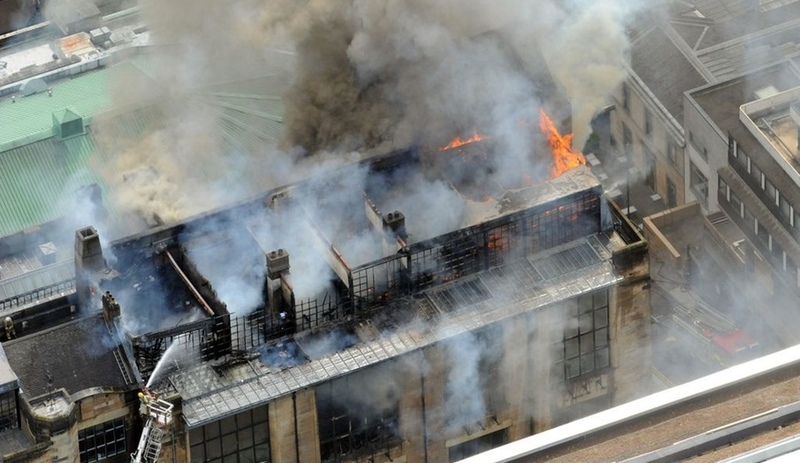 In May, images of the flame-engulfed Glasgow School of Art shocked and saddened the world – and especially lovers of architecture. The building was considered one of the finest works of Scottish architect Charles Rennie Mackintosh, and its library – which was utterly destroyed – represented the height of art nouveau. In November, it came to light that a student’s art project started the fire, but rather than pointing fingers, the city has focused its efforts on restoration. The good news is that the overall structure remained intact through the fire, and now, a fundraising campaign led by trustees Brad Pitt and Peter Capaldi (aka Doctor Who) has raised £20 million and architects have been invited to submit proposals for rehabilitating the beloved icon. 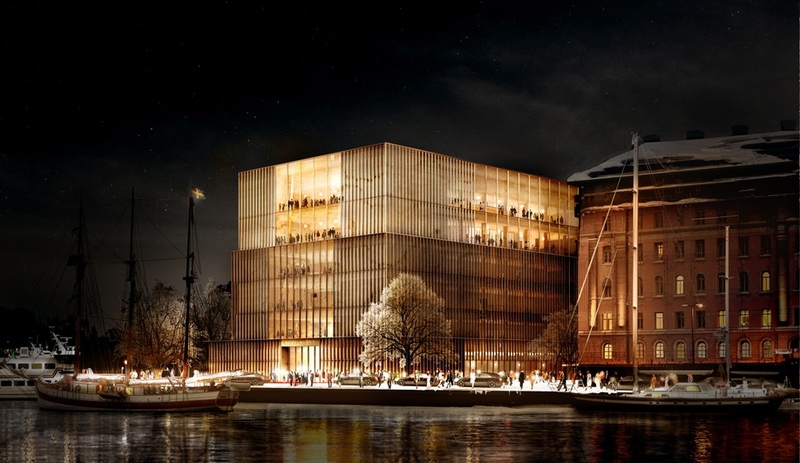 In April, David Chipperfield’s brass-clad Nobelhuset won the international competition to build a Nobel Center in Stockholm, which has been a goal of the Nobel Foundation since 1900. The British architect beat out the other two finalists – the Swedish firms Wingårdhs and Johan Celsing Arkitektkontor. Chipperfield’s design, a collaboration with Christopher Felger in the firm’s Berlin office, was selected for its lightness and openness. Slated for completion in 2019, the shimmering structure will feature new gardens and will connect with the grounds of the adjacent National Museum. Whether or not the famous awards will be handed out at there is still under discussion. 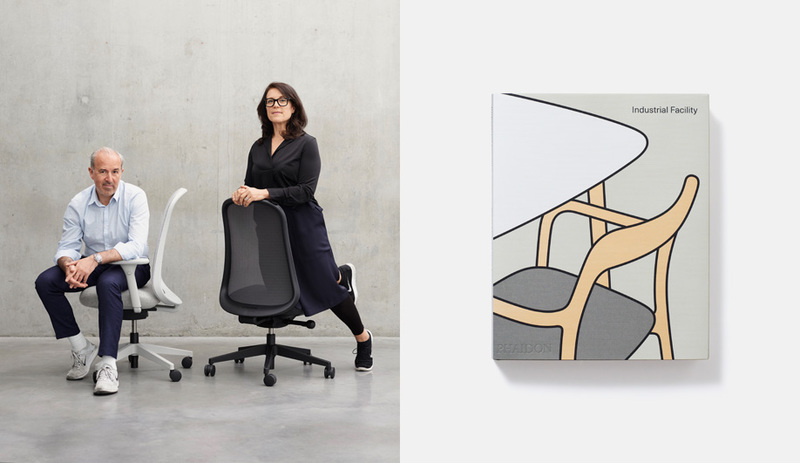 Meanwhile, Chipperfield will take on his new position as artistic director of Italian furniture brand Driade – known for producing whimsical pieces by the likes of Ron Arad and Philippe Starck. Zaha Hadid has clearly never heard of the Streisand effect. When the architect sued the New York Review of Books in August – and its architecture critic Martin Filler – for defamation, it only made people scrutinize her more. Hadid had a valid point in suing Miller, who took her words about the plight of construction workers in Qatar out of context, making it seem as though she were cavalier about labourers who have died while building her World Cup 2022 stadium on the peninsula. The fact is, the stadium hasn’t even begun construction, and Hadid was speaking in general terms about how little power architects have over worker conditions on Middle East sites. 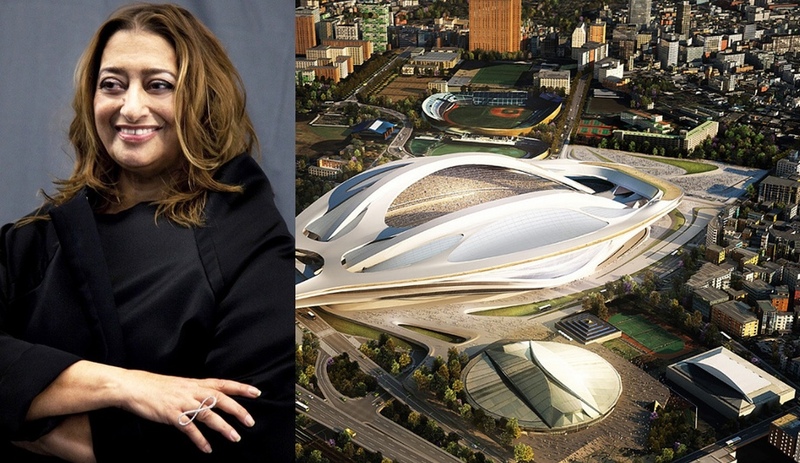 Filler has published a retraction and apology, but when the stadium starts taking shape most eyes will be on Hadid – who has got to be the most criticized architect working today, with Arata Isozaki still hating on her stadium design for Tokyo’s 2020 Olympics – and on how she responds to what’s happening on the ground. A Canadian award that rivals the Pritzker, matching its $100,000 purse and international scope, the Moriyama RAIC International Prize was bestowed for the first time in October. 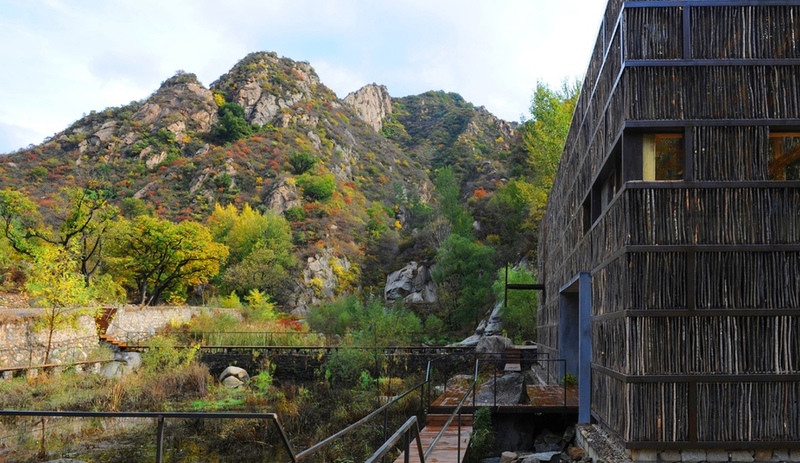 Li Xiaodong’s rural Liyuan Library project was selected as a shining example of architecture’s ability to transform society. Built in the hillside village of Jiaojiehe, the project’s modest budget was provided through a rural-development grant from the Lu Qianshou Trust in Hong Kong and was planned to help support the local economy and attract tourism. The biennial honour was established by architect Raymond Moriyama, who hopes to promote humanistic values of social justice, equality and inclusivity within the discipline, all key concerns in his own work, which includes cultural centres such as the Canadian War Museum in Ottawa. The gala presentation of the prize, which included a crystal trophy created by Edmonton-based designer Wei Yew, was held at the newly opened Aga Khan Museum in Toronto. Pier 54 on New York’s Hudson River is crumbling. In typical New York fashion, rebuilding it means reimagining everything a pier can be. But this $170-million, High Line–influenced project comes with controversy: it is mostly funded by a billionaire family – headed up by Barry Diller and Diane von Fürstenberg – who chose the architect and the plan with little government oversight or public input. While it raises questions about who gets to build what – and for how much money and how little scrutiny – in one of the biggest cities in the world, the scheme is breathtaking. 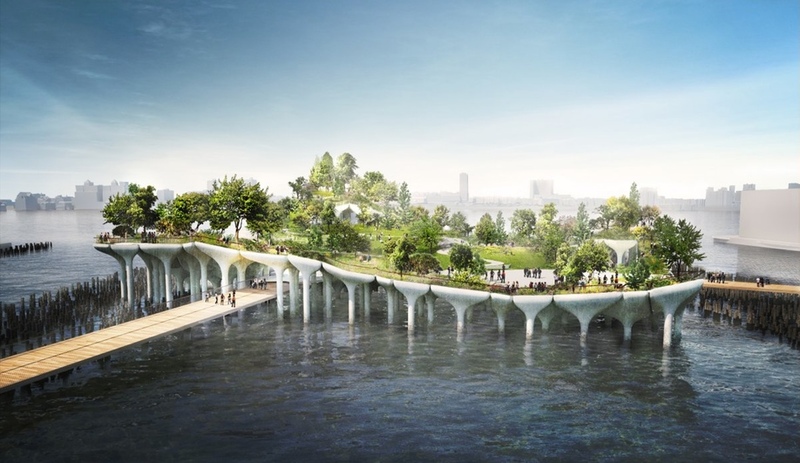 Thomas Heatherwick has designed the one-hectare Pier 55 in the form of a public commons, with lush landscaping and tiered performance venues atop a cluster of concrete piers that rise from the river and morph into bowl-shaped tops. The architect, who just got the green light for another privately funded public project – the Garden Bridge – in his native London, will begin work on Pier 55 in 2016. Just after 1 World Trade Center officially opened and its tenants moved in, two window-washers were stranded 68 stories above ground when their scaffolding flipped sideways from a slack cable. It was just the kind of heart-jolting news to top off an emotional year for the WTC site (and we won’t even get into the rats invading Vogue’s offices). 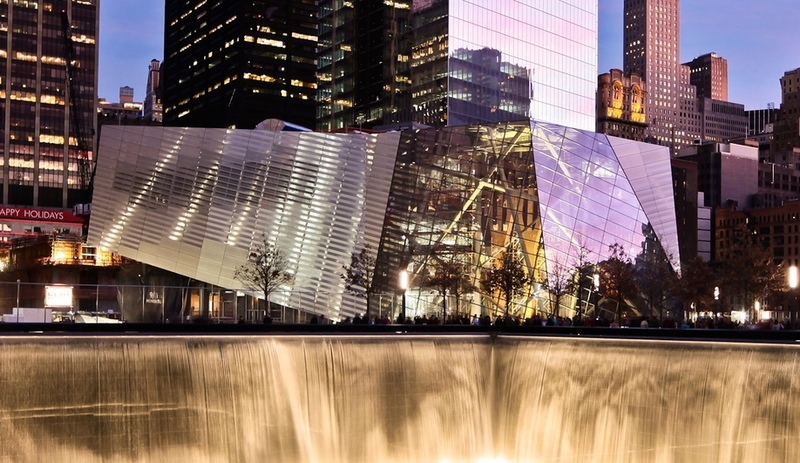 In September, the 9/11 Museum – with its lovely pavilion by Snøhetta – opened to mostly positive reviews. Then the backlash ensued. First, and most fervently, it was about the tacky gift shop – selling America-shaped cheese plates and teddy bears sporting firemen’s vests – and then, the Washington Post published a scathing review of the museum itself. Now, everyone is waiting for Santiago Calatrava’s Path Station to open, after costs were reported to have doubled to $4 billion. Much of it has to do with issues of planning – then-governor Pataki wanted to keep the station open throughout construction to appease his Staten Island voter base, which required building around the subway – but a lot of it had to do with the Spanish architect’s complicated and constantly changing design for the many-ribbed structure, whose made-in-Italy steel bones alone cost close to half a billion dollars. 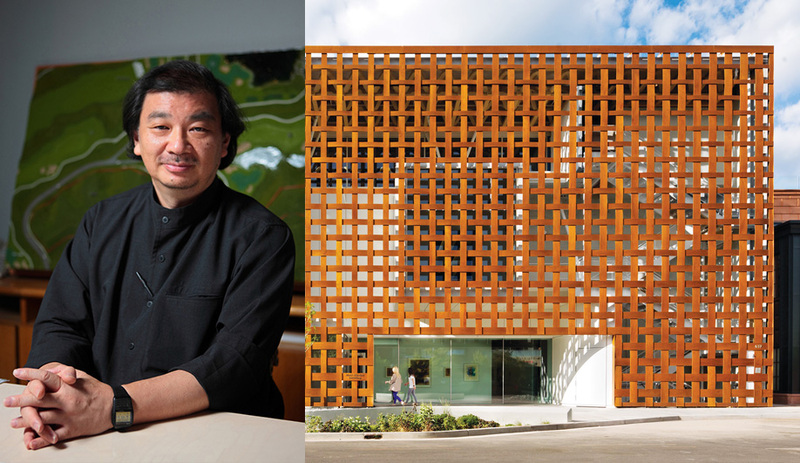 In March, when Tokyo-born Shigeru Ban received the Pritzker Architecture Prize for 2014, he was recognized not only for his elegant and innovative buildings, but also for his humanitarian efforts. For the past 20 years, he has been devising rapid-deployment housing for refugees. 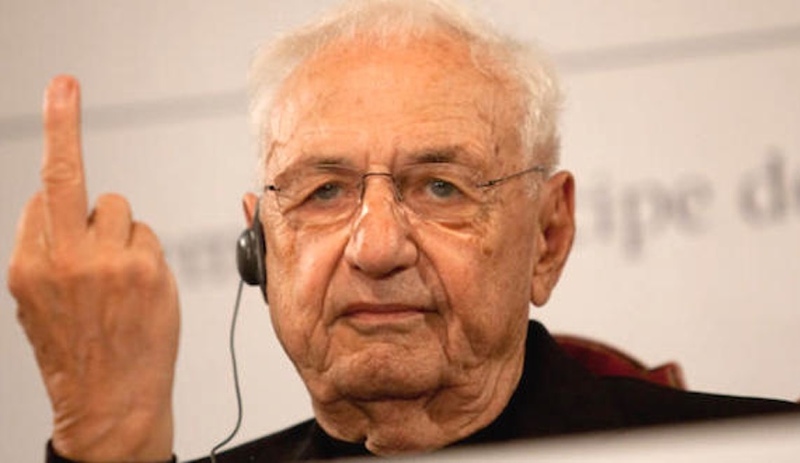 In 1994, he responded to the horrific living conditions of displaced persons after the Rwandan genocide with a proposal for paper-tube shelters, and was swiftly hired as a consultant to the United Nations High Commissioner for Refugees. Since then he has become well known for travelling to disaster sites, and coming up with similar low-cost shelter solutions. In selecting Ban, the Pritzker jury pointed to his structural innovations and creative use of such common materials as shipping containers and cardboard. 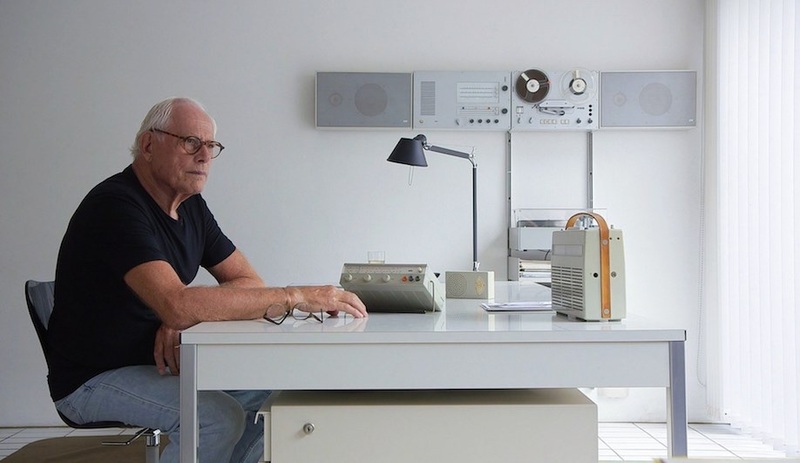 His focus on human comfort and natural light and ventilation were also noted. 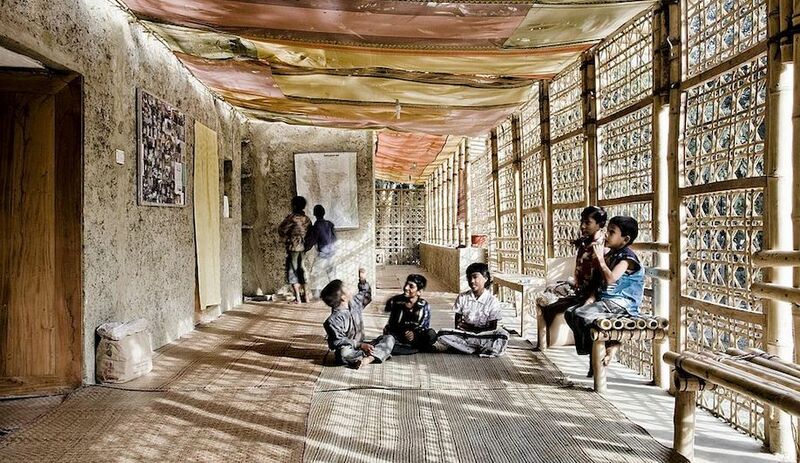 In addition to the $100,000 Pritzker award, Ban was also recognized this year by Foreign Policy magazine; he was the only architect to appear on their annual Leading Global Thinkers list. And his Aspen Art Museum opened to acclaim. 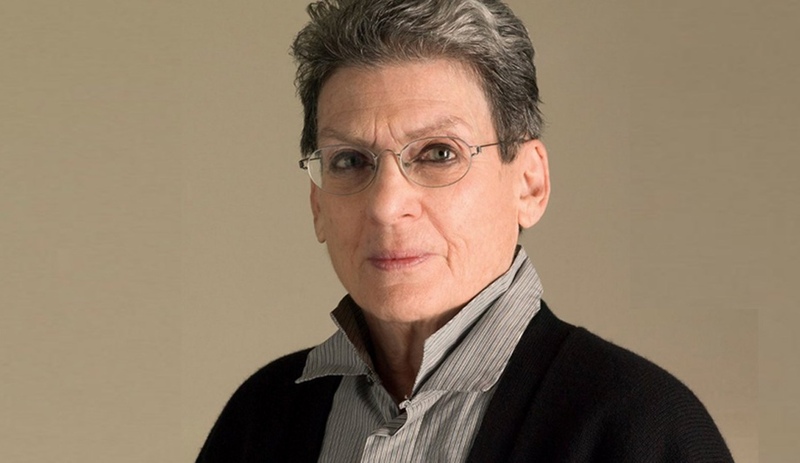 It was a big year for Phyllis Lambert. In June, she was named the winner of the Golden Lion for Lifetime Achievement at the opening of the Venice Architecture Biennale. This marked the first time the award went to a recipient known more as a philanthropist than a practicing architect. 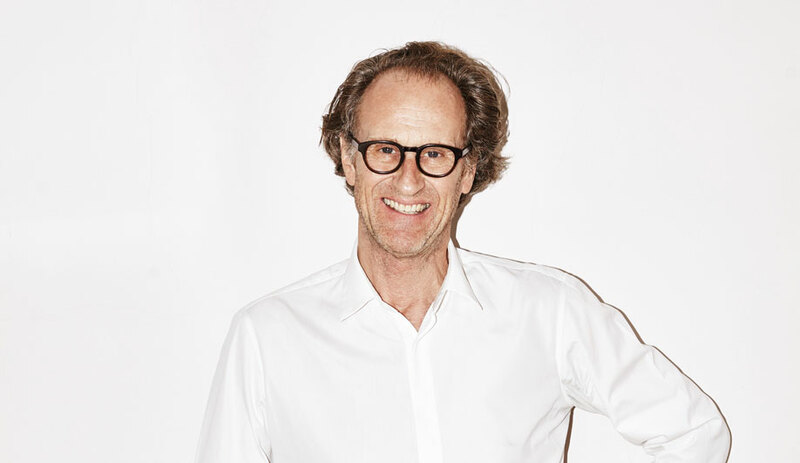 A dedicated preservationist and educator, Lambert is perhaps best known for commissioning Mies van der Rohe to design the iconic Seagram Building in New York and for establishing the Canadian Centre for Architecture in Montreal. Canada made further news in Venice with its pavilion, Arctic Adaptations, from a creative team lead by Toronto’s Lateral Office. It received a Special Mention, marking the first time a Canadian pavilion was recognized at the event.